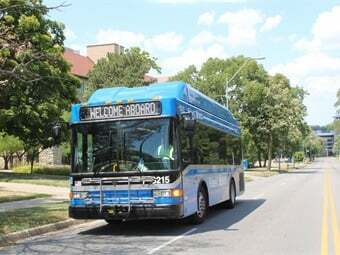 Thanks to the replacement of KCATA’s oldest vehicles, the KCATA fleet now has Wi-Fi on 100% of its buses. The RideKC fleet is getting an upgrade with 38 new Gillig buses, which will provide more safety, convenience, and comfort for customers. 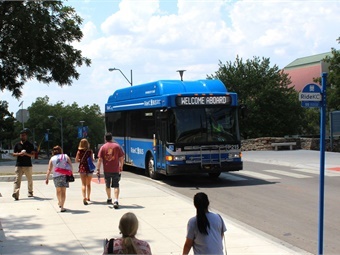 The Kansas City Area Transportation Authority (KCATA) purchased the buses with an $8.9 million grant from the Federal Transit Administration (FTA) and a 20% local match from KCATA. This award was the biggest Bus and Bus Facilities Grant KCATA has earned since 1993. The 38 new buses include 18 29-foot buses and 20 40-foot buses. Buses have been put on RideKC routes in groups of 10, and the last group of eight buses just hit the road. Thanks to the replacement of KCATA’s oldest vehicles, the KCATA fleet now has Wi-Fi on 100% of its buses. Customers can find the bus’s Wi-Fi under the name RideKC. The implementation of a broadband network across the KCATA fleet opens up the opportunity for future technology upgrades. A change to vinyl seats, that are easier to keep clean. Fixed windows for better climate control and reduce bus noise. A safety barrier to protect bus operators. A compressed natural gas fuel system, resulting in significantly lower operating costs and reduced air pollution.